We have proudly served the Findlay and Hancock county areas since 1976. We have proudly served the Findlay and Hancock county areas since 1976. Throughout this time, we have maintained, nurtured and enhanced a tradition that forms the very foundation of our approach to delivering our services to our families, friends and neighbors—a tradition of caring. Everyone was just so delightful. The therapy was wonderful. I would definitely recommend Fox Fun Manor to anyone who needs therapy. I enjoyed good food, first rate accommodations, superb care and a warm, welcoming attitude on the part of everyone at Fox Run Manor. My wife, Carol, has been a part of the HCF family for over 33 years, starting as Office Manager at the Old Fox Run in the early 1980s. I have enjoyed countless visits to various HCF facilities and built lifelong friendships with some of the HCF team. When I knew I would need post operative rehab and recovery, I considered Fox Run Manor as my only choice. Part of me wondered if the excellent treatment I received was influenced by my wife’s long term relationship with HCF. I can confidently say that this was not the case. My experience was typical of what I saw for the other residents in the facility; that being the best experience, from the best people, in the best facility! Thank you for such a positive, encouraging and meaningful time, where I was made to feel as close to being at home as I could hope for. God bless you in your dedication to excellence. I want to thank all of Fox Run Manor Therapy Staff for the splendid care I had during the time I was a patient under your care. Everyone was so friendly and made me comfortable in my situation. The doctor and his assistant, the nurses and nurses’ aides, therapists, cooks and all management personnel were professional, caring and on top of the situation. I couldn’t have had more thorough care at any other place. You are tops in our family and we are truly grateful! Thanks Again! Fox Run Manor is a beautiful new place and has a very calming environment. 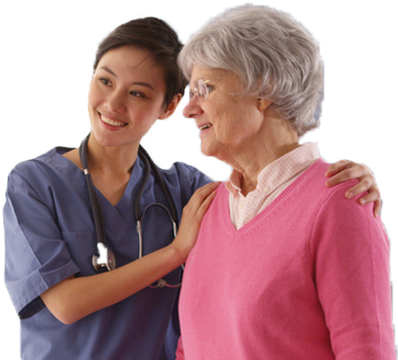 The nurses, therapy, and STNA’s are all very caring and considerate, and only want the best for each patient. Meals are served when you choose and the therapy department is just wonderful!